Millions of people die each year from tuberculosis and millions more are infected. The emergence of drug-resistant forms of Mycobacterium combined with the paucity of new drugs makes the study of the molecular biology of this organism especially urgent. In this book expert researchers critically review the current and most recent advances in this vitally important subject. The focus is on the topical and most relevant aspects of mycobacterial molecular biology and the book aims to give readers an insight into the current understanding of the subject and the future direction of research. Chapters include sections on future trends, web resources and useful reference sections. Among the topics covered are DNA replication, cell division, regulatory systems, protein export, drug resistance, vaccine technology, and much, much more. 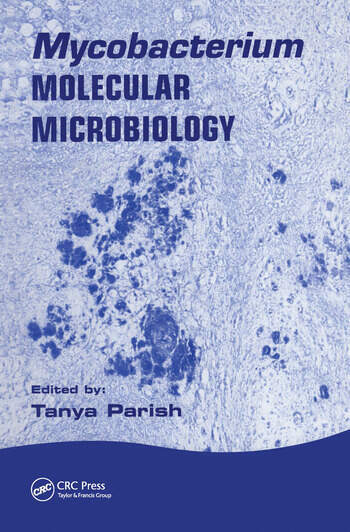 Essential reading for scientists and researchers working on mycobacteria and a recommended text for all microbiology laboratories. 1. DNA Replication and Cell Division. 2 The Mycobacterial Two-Component Regulatory Systems. 3. Protein Secretion and Export in Mycobacterium tuberculosis. 4. Vaccine Strategies. 5. Drug Resistance in Mycobacterium tuberculosis. 6. Virulence Factors of Nontuberculosis Mycobacteria. 7. The Stress Response. 8. Mycobacterial Dormancy and Its Relation to Persistence. 9. Mycobacterial Resistance to Reactive Oxygen and Nitrogen Intermediates: Recent Views and Progress in M. tuberculosis.